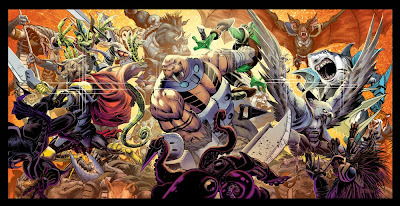 Issue 2 of IDW's Battle Beasts is in comic shops this week and it's packing a whole lot more savage action. 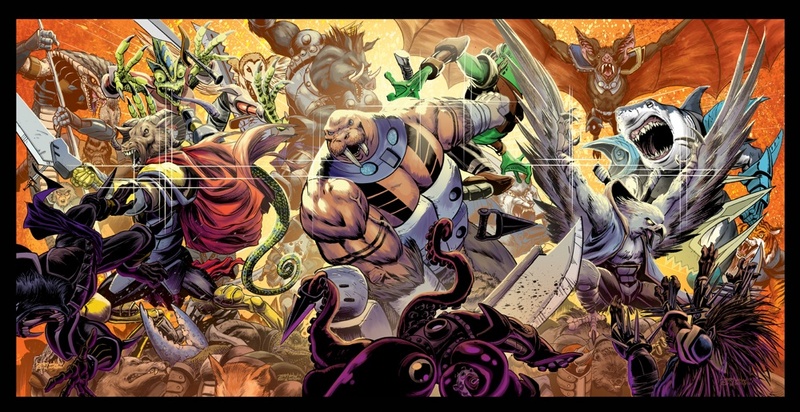 If you haven't read Battle Beasts yet, it's a pretty awesome time. Lots of action and some very cool (and really fantastically designed) characters. Did I say 'lots of action'? One month ago, the world was introduced to the world of the Battle Beasts, ferocious animal warriors from space who have descended on Earth for reasons unknown. Well, Issue 2 of the IDW Publishing mini-series arrives in comic shops this week, and we begin to learn the answers to some of our questions, as well as meet some bloodthirsty new Beasts! 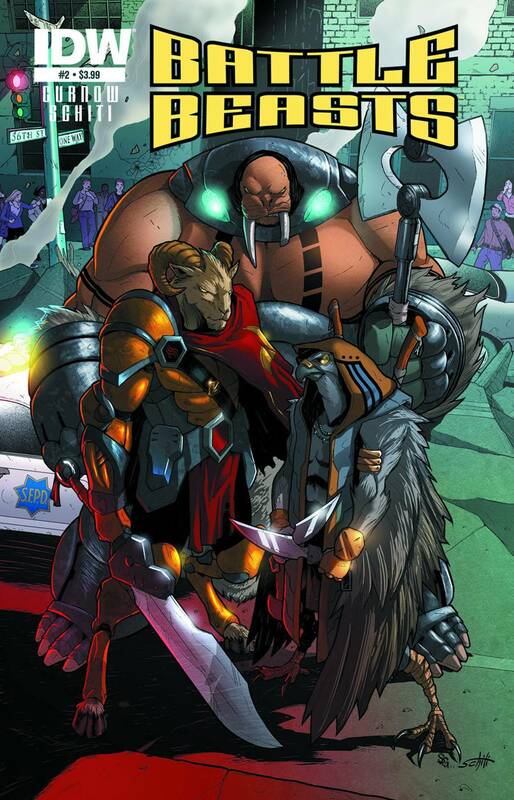 The issue has a regular cover featuring the three main characters by the series' interior artist, Valerio Schiti (TMNT), but one in ten covers is a rendering of Vorin by Jeff Zornow (Jurassic Park, Godzilla). Connect it with the chase covers of Gruntos and Merk on issues 3 and 4 to form an awesome triptych! Also worth your time are the BB Minimates by Diamond Select. Those'll be in stores soon, but in the meantime check out the book. I don't think you'll be disappointed.